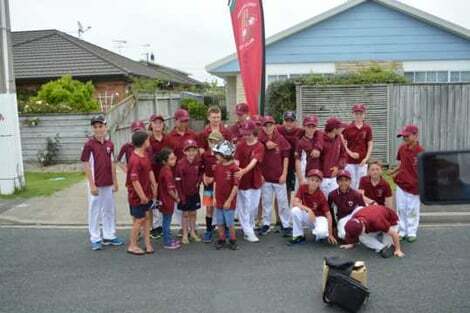 Since 1982, Hibiscus Coast Cricket Club’s mission is to embody the Spirit of Cricket on the Coast. Our vision is to be a vibrant and united club, where our whole community, juniors, seniors and supporters alike, as one family, can enjoy our national Summer game. HCCC is focussed on developing cricket participation and facilities for the whole region that includes Dairy Flat, Waitoki, Helensville, Kaukapakapa, Wainui, and all rural areas to our border with Kumeu, Silverdale, Orewa, north to Warkworth, Gulf Harbour and the entire Whangaparaoa Peninsula. The main cricket grounds we train and play on are Metro Park Millwater, Gulf Harbour Reserve, Stanmore Bay Park, Victor Eaves Park Orewa, and Silverdale War Memorial Park. HCCC values our role in this growing community as caretakers of our great Kiwi Summer sport. We are committed to growing our numbers of players, girls, boys, and senior teams, of all playing abilities. We are constantly working with schools and others in the community to launch new initiatives for the whole family to enjoy the experience of cricket on the coast. We are a young and vibrant club that welcomes all players, young and old, to join us and enjoy being outside in the sun playing cricket on the Coast. • Senior Men’s Grade Cricket, T20 Leagues, Presidents, with competitive and social league options – check out our great membership offers for students and over 40’s! • Junior Boys Cricket from Year 4 through to Year 10, including the North Harbour Club of Origin Competition – our teenage boys were finalists and 2016/17 winners! • Junior Girls Quikhit Friday Fun League, Under 12 Junior Hearts and Under 15 Future Hearts – ask us about our Girls Scholarship! • Superstar Girls and Boys Skills Academy for children from 5 Years to 9 Years, where they play fun games and learn important cricket skills – School Holiday Programmes! Whether you live in Millwater, Silverdale, Orewa, Gulf Harbour, Stanmore Bay and the entire Whangaparaoa Peninsula, Dairy Flat, Waitoki, Helensville, Kaukapakapa, Wainui, and all rural areas to our borders with Kumeu and Warkworth, if you are keen on cricket, Hibiscus Coast Cricket Club is the place for you to belong! Join the Cricket Party @HibiscusCricket - REGISTER NOW.